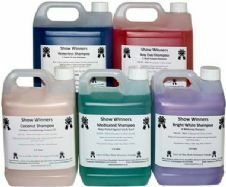 Show Winners was established in 2014 we are currently building up our range of products to ensure we meet your needs. We offer grooming products for Livestock, Equine & Pets. We have our own Pedigree Sheep and Cattle. We run a flock of Beltex and Blue Texel Sheep along with a small herd of British Blue Cattle. We aim in supplying all the products you need to get your animals to the top spot and get the best price. We sell a leading product range mainly designed and manufactured by ourselves, Our aim is to provide everything you need from starting preparations to the final touches. If we don’t sell what you want, please contact us and we will try and source the product/s for you. We are happy to help. Thank you for visiting our website, please contact us if you require advice, to order or for a free catalogue.